Having examined Lewis’ conception of the real, perhaps now we can begin to understand the depth of what he might have been thinking when he described Aslan as real. Aslan is real in contrast to the bleakness of the naturalistic world. Aslan is real in the sense that the idea of Aslan points us to a reality beyond the senses. Aslan is real, though, in the deepest sense, in that he comes. The desire of Tirian’s heart is a real Person, a person who comes – even when things seem to be beyond hope – he comes. If there is work of Lewis that shows us how to trust and obey God even when we do not see him, it is The Silver Chair. Aslan only appears to the children at the beginning and end of the book (and not to Puddleglum at all). In the beginning, on the mountain, he tells Jill that there the air is clear; once she descends to Narnia, the air will become much thicker, and her encounters with Aslan much less frequent. In order to stay on the mission that Aslan has given her, Jill must repeat the signs that Aslan has given her, a wonderful picture of spiritual disciplines. Here it is not strange that Aslan would be described as real, and all else shadowy in comparison. Perhaps Lewis describes Aslan as real when those who long for him have occasion to doubt. Tirian, who has seen a counterfeit Aslan but never the real thing, and the children who stand weeping over the death of Caspian, need to turn and see an Aslan who is “huge and real” or “bright and real”. 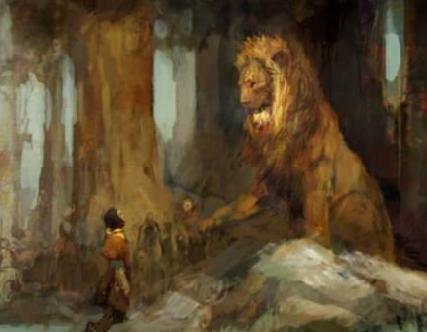 For what stood in the doorway was Aslan himself, the Lion, the highest of all high kings. And he was solid and real and warm and he let her kiss him and bury herself in his shining mane. He tells her that he was there all the time, but she has just made him visible. The interesting thing about this encounter is that Lucy is the most undoubting human in the books, and yet, Lewis is careful to describe Aslan in the most concrete of terms: solid and real and warm; Lucy can bury herself in his mane. The implication is that even those who seem most sure of faith look with expectation to a concrete reality, a reality that can be smelled, felt, touched. 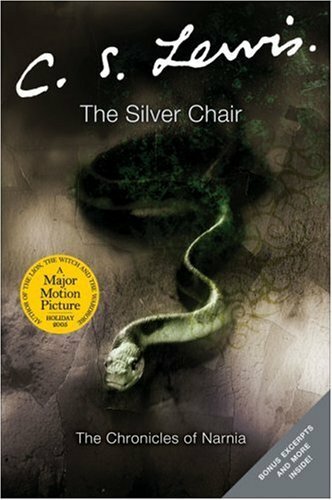 This entry was posted in Literature and tagged aslan, c s lewis, hope, the chronicles of narnia, the silver chair, the voyage of the dawn treader by Justin. Bookmark the permalink.